← One of the best days ever on the Great Wall! 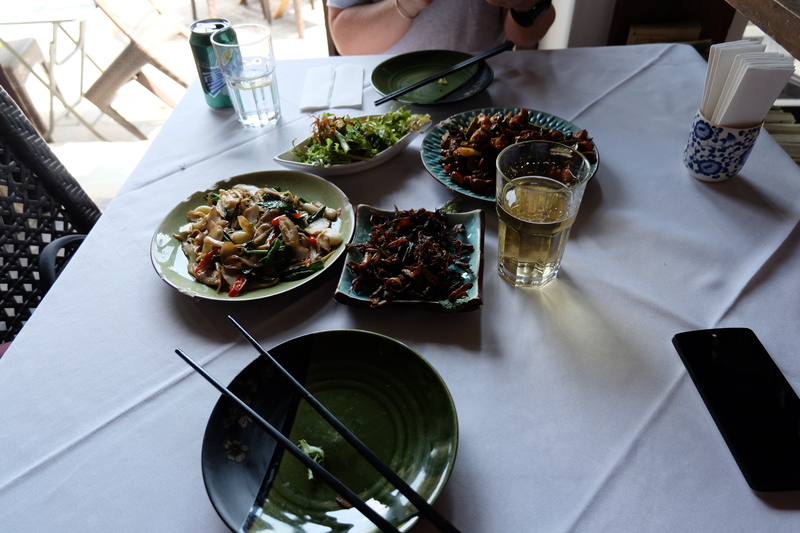 In Beijing we had some great food. Our favorite restaurant was Dali Courtyard. The food and service were top-notch. It’s a fixed menu for about $25. We were brought 7 different plates and everyone was amazing. 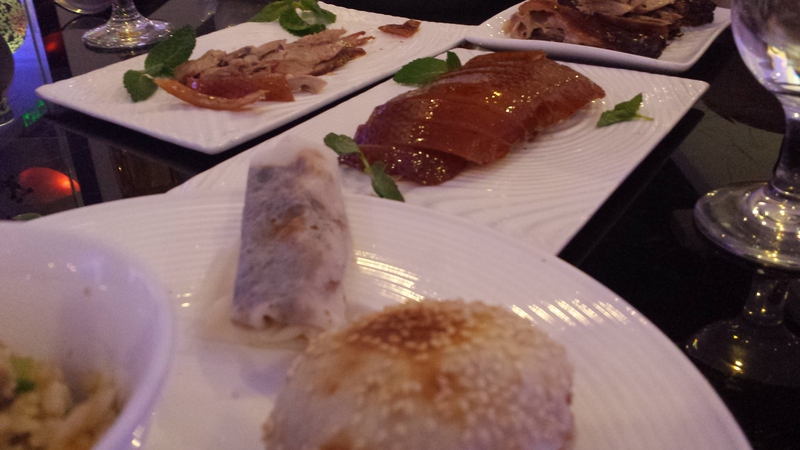 We also had peking duck at one of the top rated duck restaurants in the city, Da Dong Roast Duck. The duck was good, but the service was horrible. 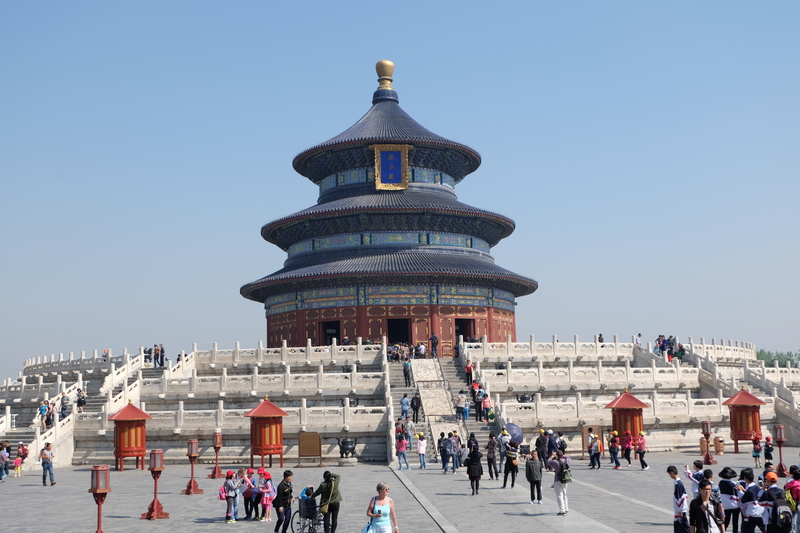 We went to the Temple of Heaven and many shopping areas called hutongs. 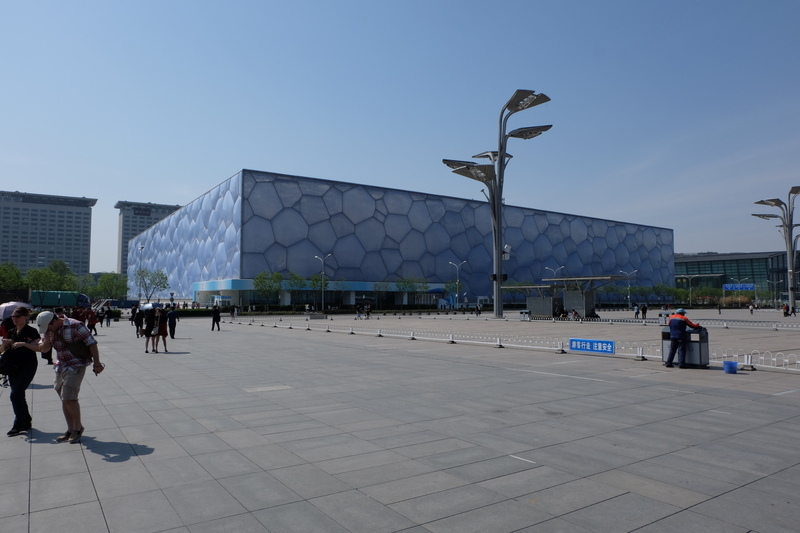 We also went to the site of the 2008 Olympics and saw the Birds Nest and the Water Cube. 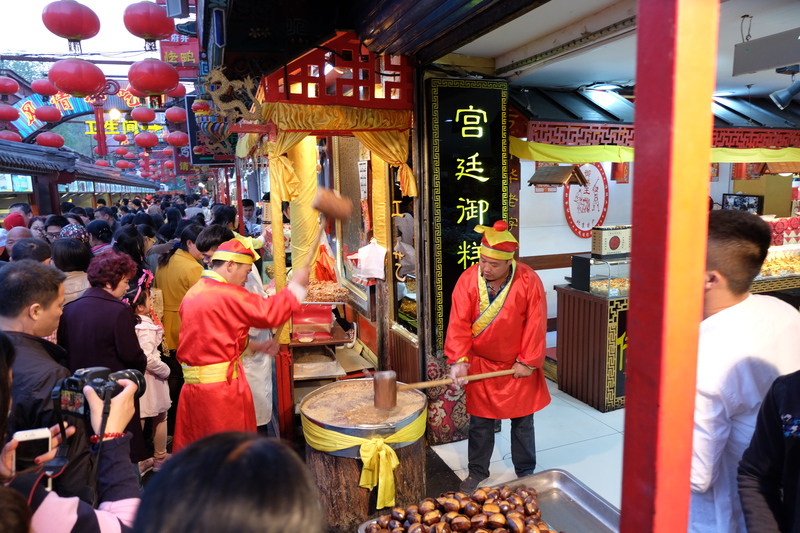 We were only in Shanghai for one full day. 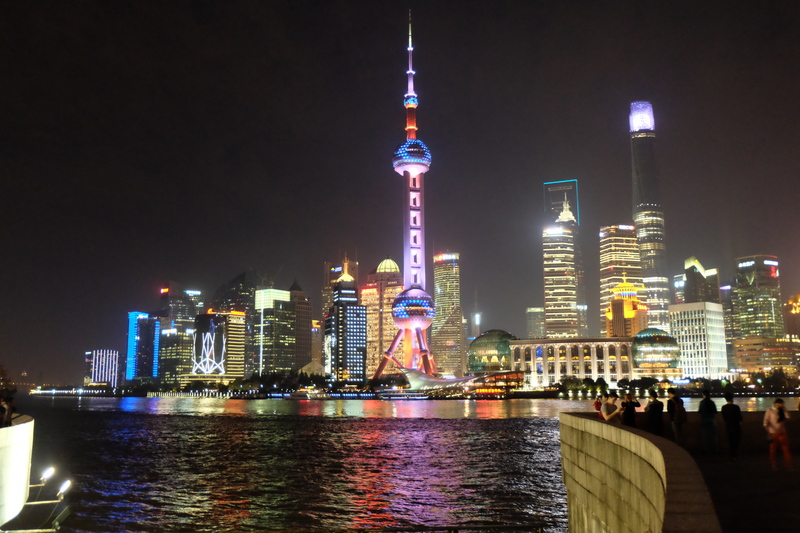 We walk the Bund, during the day and at night. We also went to the highest observation tower in the world at the World Financial Center. It’s on the 100th floor. 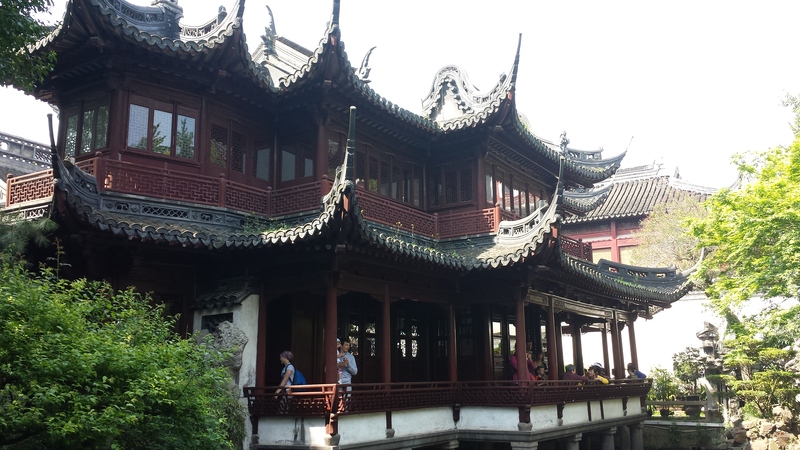 And went to Yu Gardens. A couple of travel notes. Bring toilet paper, there is none in any public bathrooms, including train stations and airports. Communication was easier than I thought. Most people spoke a tiny bit of English. The Beijing subway is awesome! For .50 you could travel anywhere including transfers. The Chinese people to not wait in lines, so don’t be surprised if you get cut in line. It was a great vacation! 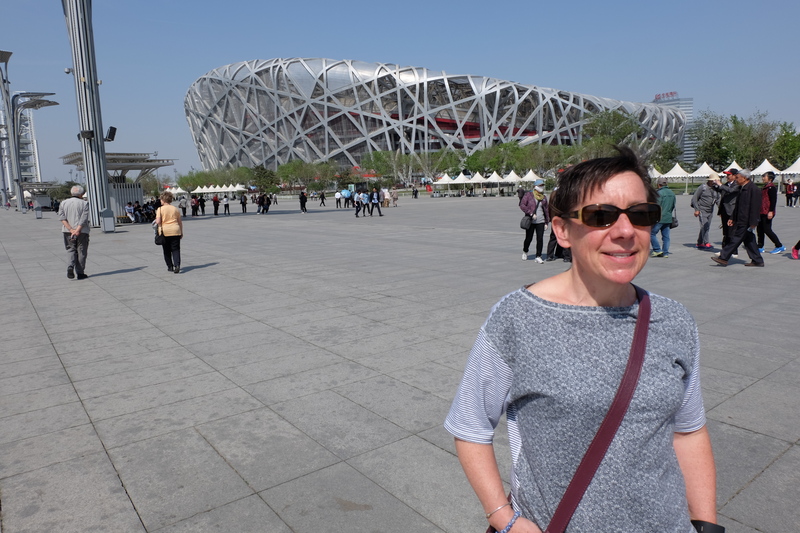 This entry was posted in Uncategorized and tagged 2008 Olympics, Beijing, Birds Nest, Dali Courtyard, Shanghai, Temple of Heaven. Bookmark the permalink.